I never really understood Armistice Day. I don’t mean that I didn’t understand the history or social significance. Rather that I didn’t grasp what it would be like to lose your child to a war until I became a dad. 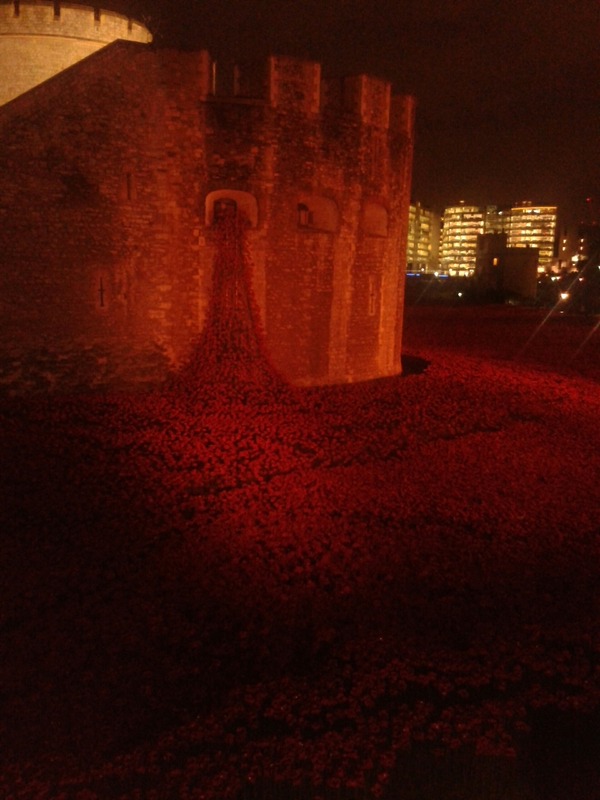 As we paused in our work at 11 o’clock today to watch the ceremony from the Tower of London, among that incredible display of poppies, I saw 13-year-old Harry Hayes planting the final bloom and immediately thought about Baby B. Of his innocence of war and the cruelty of the world. Of his hopefully long life to come. And my stomach became knotted at the thought of him going off to war, being one of those young men in the trenches 100 years ago. Or on the beach at Dunkirk. Or yomping to Goose Green (the first war I remember being aware of as a child). And the list goes on and on. There’s barely a year gone by without the British armed forces fighting somewhere in the world. I had the luxury of growing up if not in a time of peace, certainly in a time when I wasn’t about to be called up to fight. Joining the army has never crossed my mind, although I do know people who have. So, my parents never had to wonder if I was coming home from work. Of course, there are many dangers in the world. People are killed in accidents or by other people every year. I simply mean that I have never gone to a place where violence and death were ever-present. After work I walked down to the Tower. The crowds had thinned a little and I was able to stand and contemplate the vast sea of red. It struck me, from the chatter of the crowd, that most people saw it as a tourist attraction. A chance to tweet and say I was there. But I’m not trying to claim some moral high ground. I took photos too. I’m not sure how well they convey the impact. Poorly, I think. So, what am I saying? I’m not sure. I don’t have any point to make about the rights and wrongs of war. That’s an argument for another day. 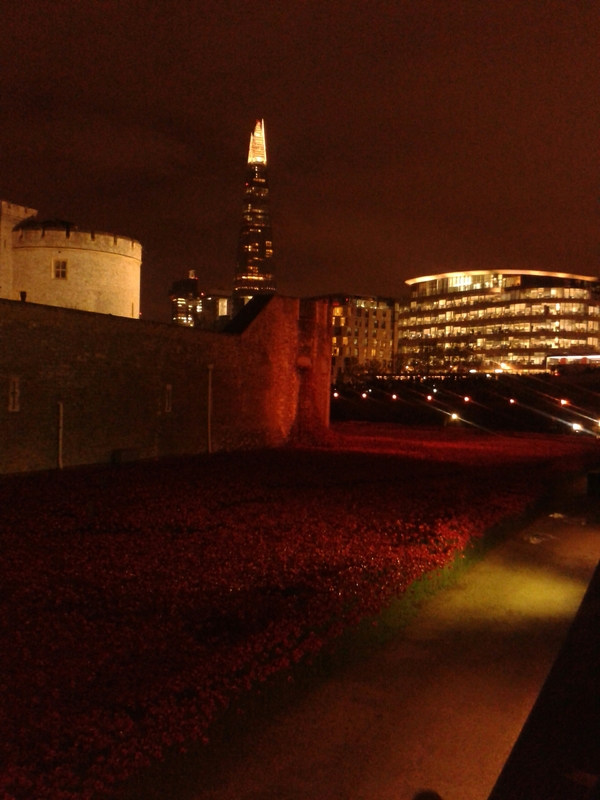 Tonight I simply acknowledged, with a quiet respectful nod in my heart, that in every poppy I saw a child who grew to be a man who didn’t live to grow old. And the dad I’ve become understands a little better the sacrifice they made. 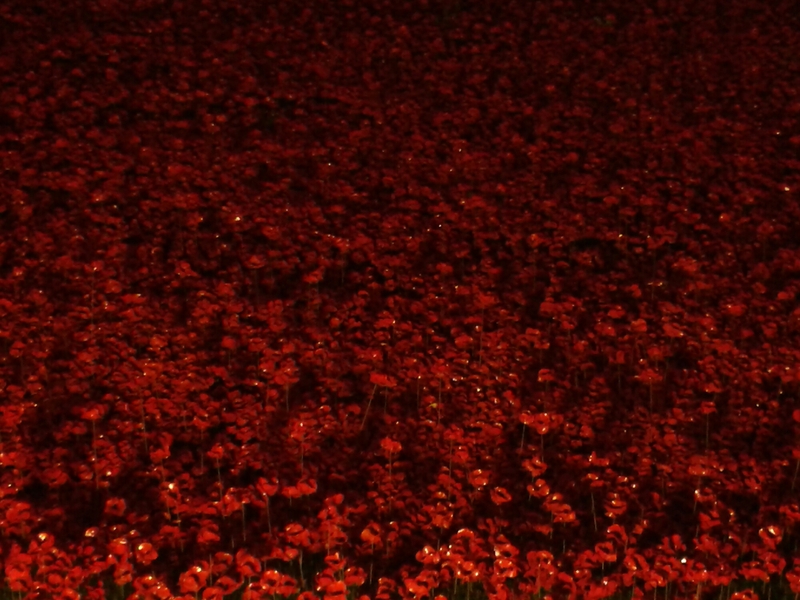 UPDATE: The poppies have all been sold but you can still support the 2014 Poppy Appeal.